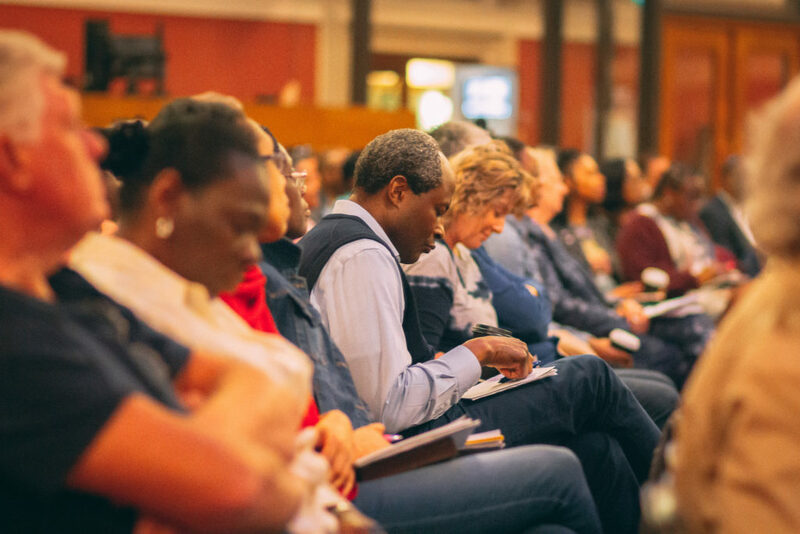 We are a global Christian family, following Jesus at the heart of London. We seek to make the love of Jesus known to our community and to the world through our worship, preaching, prayer, healing, fellowship, service, evangelism and openness to the Holy Spirit. Our magnificent building was opened in 1912 to mark the centenary of the death of John Wesley, one of the founders of Methodism. Methodist Central Hall Westminster was one of forty ‘Central Halls’ built at the end of the 19th Century, as part of the Wesleyan Methodist Churches wish to reconnect to the poor of the inner cities. Central Halls were to be a ‘pew on the pavement’ – a place of invitation with little religious symbolism. Methodist Central Hall Westminster was funded between 1898 and 1908 by the “Wesleyan Methodist Twentieth Century Fund” (or the “Million Guinea Fund”, as it became more commonly known), whose aim was to raise one million guineas from one million Methodists. The fund closed in 1904 having raised 1,024,501 guineas (£1,075,727). Methodist Central Hall Westminster was to act not only as a church, but to be of “great service for conferences on religious, educational, scientific, philanthropic and social questions. In January 1946 the first meeting of the United Nations took place in the Great Hall. Over 50 nations were invited to war-torn London and our building, (which suffered no damage during the war) was chosen. The church moved out to the London Coliseum and the UN were so grateful that they painted the building and left their original ‘minute’ book as a gift! The first Sectary General Trygve Lie was elected and gave his inaugural address in the Great Hall. Methodist Central Hall Westminster has kept close ties with the United Nations, celebrating the organisations 50th, 60th and 70th anniversaries and welcoming the previous three Sectary Generals during their tenure, (Boutros Boutros-Ghali, Kofi Annan, Ban Ki-Moon) and hosting the current UN Sectary General, António Guterres for his first address outside New York in May 2017. In 1966 the World Cup was stolen from our Library and countless other events have taken place including many speakers of historic note. Sir Winston Churchill, Gandhi & Revd Dr Martin Luther King have all spoken in the building, which continues to be used for conference and events throughout the week. MCHW is a welcoming family community! My son loves the youth program. My wife enjoys worshiping in the choir. Teaching is encouraging, challenging and profound. There is a growing men's fellowship, and it is great to catch up with friends and visitors over coffee after the service. I was once spiritually somewhat exhausted but MCHW helped to reinvigorate my spiritual well being. I became church Steward in 2011 and two years later was invited to become Circuit Steward. What makes me proud to be part of MCHW is the great service and the love that resonate from the congregation. Methodist Central Hall is not just a beautiful building, it’s home. At The Sanctuary, our young adult fellowship, I’ve found a place of welcome, friendship, creativity and spiritual depth. I love Sunday morning Holy Communion services; seeing our truly diverse church family come together in worship, with Christ at the centre."